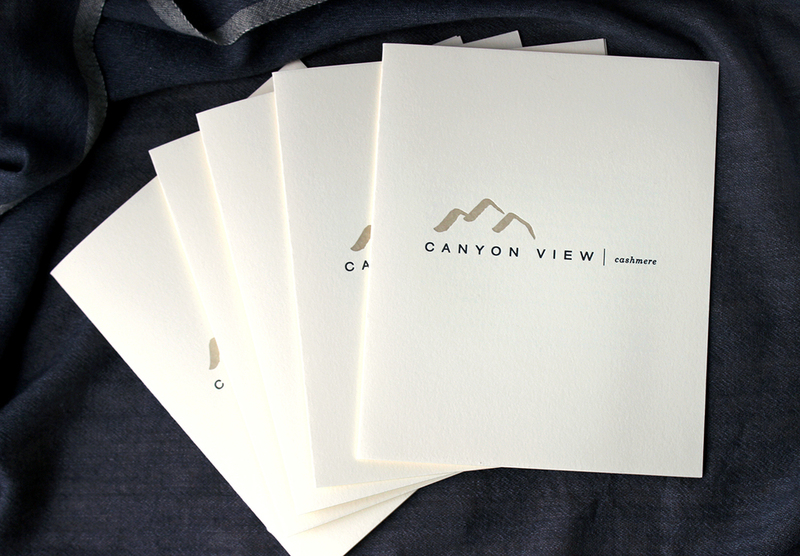 I've been working on a letterpress rebranding project for Canyon View Cashmere, a luxury cashmere company whose marketing materials needed updating to reflect the incredible beauty and high-quality of their products. Uniting Western design sensibilities with time-honored craftsmanship, Canyon View Cashmere throws and Kate Kanyon fashion items are individually crafted in the Himalayan mountains in Nepal by a small family of artisans. 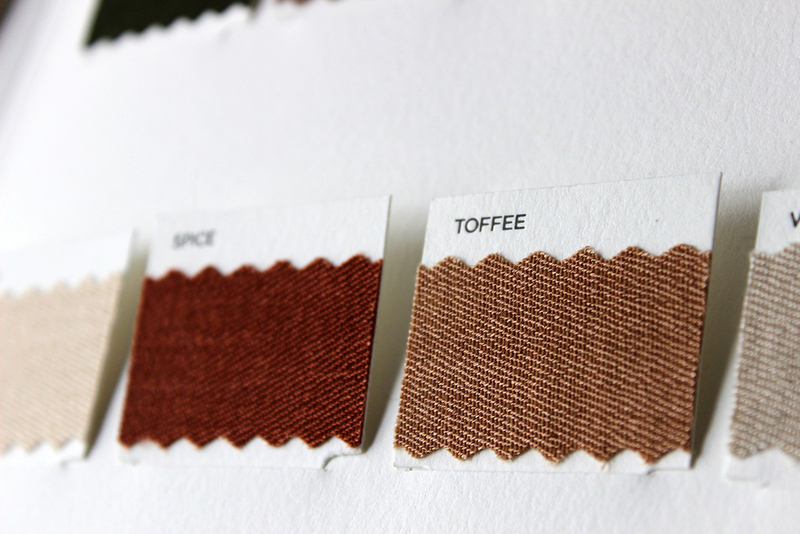 I worked with business owners Joan and Elara to develop a bespoke travel color-swatch brochure made specifically for one of their aircraft clients, who uses their cashmere throws, lap blankets, and pillows on their private jets. 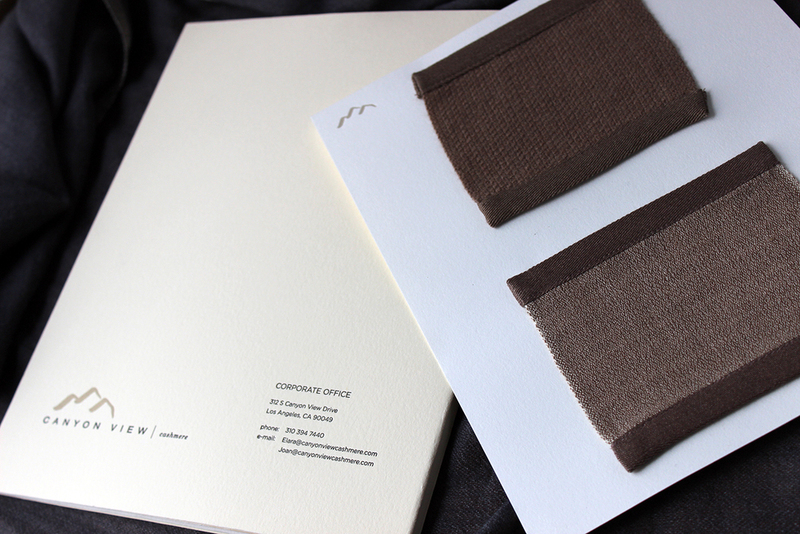 We also developed sample brochures that showcase their wide variety of textures, as well as branded binders to house their variety of colors and patterns for use at trade shows and with exclusive boutique clients. In each case, the sumptuous quality of letterpress on thick, cotton paper evokes and complements the touch and mood of their cashmere scarves, wraps, and throws, and reinforces the luxury of their brand.